We have outgrown this vendor list! Please come in the store to see the most current selection of available local goods. As we have expanded our selection (based on your 2Cents Feedback) the list can't keep up. We promise to add more details on our new partners soon. Our most recent Wine & Craft Beer additions are in the store now and ready for you to take home. For more information about individual farmers and producers listed here, visit their website by clicking on the image. Baby Bundts are a non-GMO product that values using the best ingredients. We strive to keep our cost low and our quality high by making our own flour blends. Each cake is a unique blend of flours. Some have nut flours and meals such as almond, hazelnut, and coconut. Others contain brown rice and sorghum ratios. All of the cakes have a secret ingredient—an ancient grain from Ethiopia called teff. Baking with teff has enhanced the flavor and texture of our cakes, loading them with iron and protein. Our cows are a herd of very friendly and sometimes precocious Jerseys. Each has her own name and stanchion in the barn during milking. We choose Jerseys for their ability to produce milk on a 100% grass-fed diet. High fiber and mineral rich grasses, legumes and forages are available to our cows always in the lush, rotationally grazed pastures of summer and the sweet hay in the winter solar barn. All our cows are born here on the farm. These hard-working girls are all business, producing milk of exceptional quality and creaminess and providing a perfect foundation for our superb line of dairy products. Our Beef animals are 100% grass fed. We recently put up a covered barnyard where they are housed in the winter time on a bedded pack. There they are protected from the elements of the cold winter months. We keep our pigs inside our barn where their pens are cleaned twice a day and they are fed twice a day. We feed our pigs high protein Poulin grain. When available they are spoiled with cream cheese from a cheese factory and garden root vegetables along with second cut hay. They are well cared for. In the summer, we raise three sets of 100 roaster chickens. These birds are raised in a spacious setting outside where they can range as they please. They are fed high-protein grain and fresh water. We raised them 7 weeks before processing. Jacob Brook Farm is a tree farm owned and operated by Charles Cooley and Carol Lauber. We're located in Morrisville, tapping about 2,000 trees producing maple syrup using a wood fired arch. We bottle in gallon, half gallon, quart, pint and half pint. Special orders available. We manage our sugarbush according to our forestry plan as established by our forester. We use organic sunflower oil as a de-foamer, and no other additives. Our sap collection is through a tube system under vacuum. We use a reverse osmosis and filter press. Mountain Meadows Apiary at Hunger Mountain Farm Beekeepers: Becky Graddock, Michelle Rauch and Ernie Eldred. We are sustainable Beekeepers whose primary focus is the stewardship and well-being of honey bees. Our happy bees are located on 108 acres of organic meadows in Stowe, Vermont. Our honey is pure, raw and unfiltered. We use no heat in our processing so that natural pollen and enzymes are retained in our final product. From our honeybees to your table, this nutrient rich nectar comes packed with potent naturally occurring properties! Enjoy! 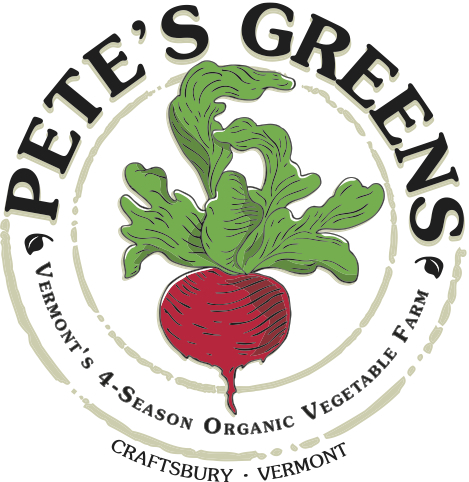 Pete's Greens is a certified organic, four-season vegetable farm located on the edge of Vermont's Northeast Kingdom. Our farm was started by Pete Johnson in 1995. 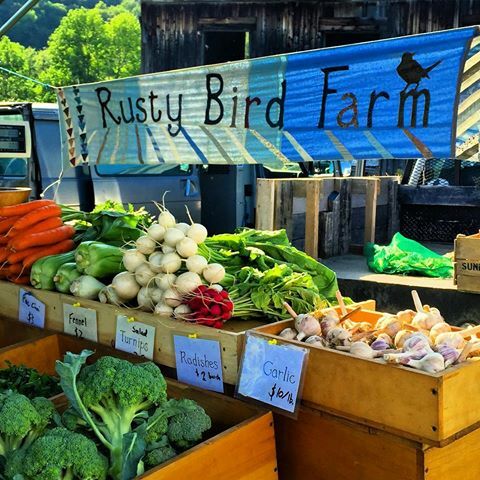 We believe whole-heartedly that, as more Vermonters eat locally, we will become healthier as communities and as individuals. Foods grown locally and in-season are also more nutritious and taste better, and eating them connects us to our place and to our present time of year. Bob and Sara Schlosser have been growing for the local community and chefs for over 25 years. They have a reputation for high quality produce. Sandiwood Farm is a unique farm growing a wide range of spring seedlings for gardens, produce, herbs and cut flowers to purchase at any time. The farm is a one of a kind venue hosting farm to fork sunset dinners, weddings, and many other types of events. Maple syrup is produced from the 35 acre sugarbush. The Schlossers take great pride in sustainably managing and being stewards of the land. We ship syrup nationwide. We aim to provide a quality, locally-made and crafted product that is free of harmful preservatives, hydrogenated oils, GMOs, palm fruit oils, excess sugar and salt. A product that tastes great in the morning, for lunch or a snack anytime of the day. Our social responsibility incurs a firm stand in the community through support of important local and national events, and continuous donations to charity. VTPB is a premium nut butter brand with a good old fashioned, grass roots feel. We grind, mix, fill, cap, seal, label and ship 100% of our products from Morrisville, Vermont. We look forward to growing our Vermont company here, creating jobs and providing a fun look and feel to Vermont's next famous food. Bear Swamp Farm is a small diversified farm located in Wolcott located at the headwaters of the Bear Swamp Farm wetland ecosystem. We grow organically but we are not certified. Beef cows are raised on rotationally grazed pastures during the summer months and are fed high quality hay from our fields in winter, and have access to minerals and kelp year-round. Our beef is GMO, hormone, and antibiotic free. We also wholesale and retail greenhouse tomatoes, kale, spinach, garlic, beef, eggs, and sauerkraut. Elmore Mountain Bread is a wood-fired micro-bakery and stone ground flour mill located in Elmore, Vermont. Our breads are made entirely with organic and regionally sourced wheat and specialty grains, all of which are ground into flour on our stone mill here at the bakery. They are carefully hand-crafted and hearth-baked in our custom wood-fired brick oven, which, by nature, limits the amount of bread we can bake, keeping production small and quality high. Ray's family has been raising Highland Cattle for over 50 years. We have the oldest registered herd of Highlands in the United States, and one of the largest. Shat Acres was started by Ray's grandfather, Arthur Shatney, in 1915 in Greensboro Bend. Greenfield Highland Beef is a cow/calf farm, the calves staying with their mommas until weaned at approximately seven months. Greenfield animals are never fed hormones or antibiotics and all beef is 100% Grass Fed and Finished--high in CLA's, vitamin E and Omega 3 fatty acids. All beef is dry aged, boneless (except for short ribs) and vacuum sealed. Recipes for all Greenfield cuts are available if desired. Kombucha is a fermented tea beverage that originated in China over 2,000 years ago. The wisdom of fermented foods and rejuvenated teas migrated to surrounding cultures before becoming a nearly lost tradition. In an effort to create a light and refreshing kombucha, one even your kids will enjoy, we've come up with a simple recipe using only the finest sourced ingredients. Every bottle contains live probiotics and enzymes, and is rich in amino acids and antioxidants. Our kombucha is microbrewed in small batches in northern Vermont. We hope you enjoy this locally made beverage. And remember . . . Keep It Simple. At Pioneer Farm, we take pride in making all our pies from scratch. There are no pre-made, canned products, or preservatives. All-butter crust and seasonal ingredients are sourced locally when available. All items are baked fresh daily with specialty items upon request. A self-taught farmer and baker on a journey, I am making and growing as much food as possible with an eco-friendly commitment to our community. I enjoy experimenting with my pies, combining classic and traditional flavors with a few modern twists on sweet pies, and savory vegetarian pies. Our farm is located on our off-grid homestead in Walden. We grow a wide variety of vegetables on 1.5 acres and also produce seedlings, maple syrup, sauerkraut, and eggs. We have two large hoophouses for growing tomatoes in the summer and greens in winter, and a small hoophouse to raise seedlings in the spring. Our love of vegetables shows through the diversity found in our fields. We are constantly trialing varieties to find the best tasting and strongest growing cultivars. 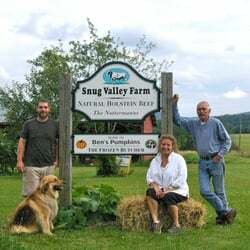 We are a grass-based, family owned & operated dairy farm located in the Northeast Kingdom of Vermont, about 20 miles south of the Canadian border. We milk a small herd of Vermont Heritage Randall Lineback cows. Our barn is situated between woodlands and several rich fields where we rotate pasture and grow & cut our own hay. Sweet Rowen's mission is to maintain a working landscape that provides families with fresh food, supports the local economy, and upholds the ecological integrity of the environment. Our milk contains no antibiotics and is non-GMO. We gently pasteurize our milk to ensure a delicious, cream-top product. 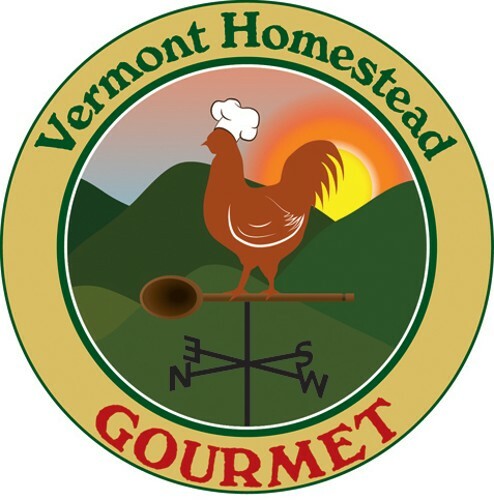 Vermont Homestead Gourmet was started in Johnson, Vermont, by George and Tracy Chaleff. We produce high quality unique specialty foods using only the freshest ingredients. All of our products are handmade locally in Vermont by us! Our love of gourmet foods makes for a unique and delicious culinary experience. Black Dirt Farm is a 250-acre diversified family farm in Stannard owned & operated by Tom Gilbert. 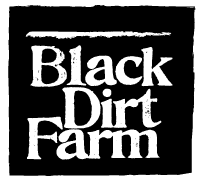 Black Dirt Farm provides commercial compost collection services, produces compost, vermicompost, hay, meat birds, eggs, and draft-powered forest products. We also raise horses and beef, and grow vegetables for our own enjoyment. Our farm is firmly based in regenerative agricultural practices and the creation of sustainable food systems. Elmore Mountain Farm is a farm-based handcrafter of natural body care products located in northern Vermont. All of our products are made from the finest natural ingredients and pure essential oils. We strive to bring you high quality products that make you feel good and put a smile on your face. We try not to take ourselves too seriously, but we are serious about our products and committed to your satisfaction. 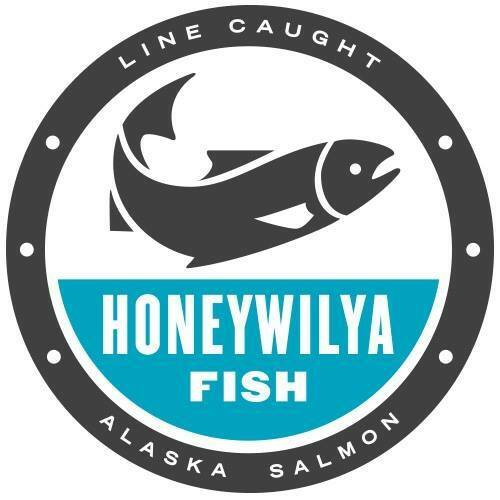 Honeywilya Fish provides Certified Responsible Wild Alaska Salmon direct from the fisherman that caught it. Lynn spends 6 months a year on his hook-and-line troller in the icy waters off of Southeast Alaska and 6 months with his wife here in Vermont. Honeywilya Fish sells only salmon that has been line-caught by Lynn on his small fishing boat. This instills a deep connection to and confidence in the origin and quality of the fish and is a great way to have Certified Responsible Wild Alaska Salmon from the fisherman himself here in Vermont. In the spirit of Farm to Plate, this is truly Boat to Belly. Without the use of nets (that can be detrimental to salmon and other species), this small quantity catch method ensures an attention to detail and superior quality with each fish. Maple Medicine is inspired by a biological approach to health and healing. The medicinal qualities of 100% pure, organic maple syrup combined with the healing properties of apple cider vinegar are infused with select herbs. Each blend is intentionally formulated to produce highly effective, all natural, maple therapy herbal supplements. Maple Medicine was created from an affinity for maple syrup, including both the divine taste and health qualities, combined with a mission to create and provide alternative herbal medicines addressing various angles of biological health that are accessible and appropriate for everyone. We milk our own Holstein & Brown Swiss cows to produce a number of raw milk cheeses using recipes with European origins. Our cheeses are aged a minimum 60 days in our own cheese cave. The cheese facility is in the heart of Morrisville, in the old United Farmers Creamery building. Not only did we renovate the building, but we built our own cheese cave in the basement. We wash and brush the rinds to keep them thin to ensure our product to be one hundred percent edible. Our French cheese is regularly washed using seasonal beers from local breweries, Rock Art and Vermont Pub and Brewery. We have been raising grass-fed steers in Vermont since 1989. Throughout our farming history, starting in 1974, Snug Valley Farm had always raised pigs for family and friends. Snug Valley has expanded our pastured-raised heritage breed pork numbers so we can meet growing demands of retail, farmers’ markets and wholesale customers. We look forward to supporting and being part of MoCo. Our farm, SWEET VALLEY ACRES, is located in Hyde Park. We raise chickens, pigs, some beef cows and our four children who love to help! In fact, our three youngest have taken over the chickens⸺one feeds and waters, another collects the eggs, and our daughter cleans and packages them! They look forward to growing their little business. We are pleased to offer you our Farm Fresh, Non GMO Eggs. Our hens are pastured three seasons out of the year and we supplement with kelp and flax to further increase the nutritional value of our eggs. We feed only non-GMO grain during the winter months. Matthew Kuhnel (Matty) lives on the farm land with his wife and one-year-old son. Matty is a proven naturalist and has a deep understanding of environmentally friendly land use practices. He has completed large scale environmental restoration projects in Vermont, Maryland, Delaware, Pennsylvania, and Virginia. After years of restoring farm land and improving water quality, Matty now grows crops to the highest standard, both for consumer and the landscape. Jen Fortman, her fiancé and their infant son live in Hyde Park. Jen has spent the last few years focusing on growing her own foods, eating local and building small, local businesses. With a BA in Small Business Management and a focus in Wellness & Alternative Medicine and accounting, Jen was a perfect addition to our team in the beginning of 2016. Brave Coffee & Tea is a family-owned Vermont coffee roasting company and tea purveyor, offering freshly-roasted coffee and teas from around the world. We strive to provide as many Fair Trade Organic coffees as we can. Started in 2009, in the back room of Black Cap Cafe in Stowe, Scott Weigand took over the company in 2014. He had been working in the coffee business for 13 years, in positions ranging from barista, to trainer, salesman, and now roaster. Keeping the hand roasted specialty coffee business running under the name "Brave" was very important to Scott. As more and more people become interested in "nose-to-tail" eating of locally raised, pastured animals, we need to remember that food isn't always the best use for every part of the animal. My soaps and salves are simple, gentle on the skin, and never contain artificial colors or fragrances. Everyone deserves to be comfortable in their own skin. Whether you battle oil or dryness, harsh chemicals at work, dirt, or overuse, I strive to make products for you that are affordable, effective and that use local ingredients. If I don't make something that you would like to see, start a conversation and see where it takes us! We are a small hilltop farm located in Hyde Park, Vermont. We currently produce and sell a variety of berries, elderberry syrup, and fire cider. Mary's family has been farming in Vermont for seven generations. Our elderberry syrup is made with a combination of our own elderberries and organic elderberries purchased from Frontier Herbs. It tastes great to children and adults! Our fire cider is produced with onion, garlic, and thyme grown on our farm. All other ingredients are locally sourced whenever possible. Our elderberry syrup and fire cider both require refrigeration as we refrain from heating the tonic after it is initially made to preserve the medicinal properties. Elaine and Paul Manghi founded the Manghis’ Bread in their North Randolph home in the late 1970s. Their misson was to provide healthy, homestyle breads at an affordable price for local families. The bakery is now second generation with Elaine and Paul's daughter, Maria, and her husband, Steve, keeping the tradition. Osborne Family Maple is located in the remote Northeast Kingdom town of Ferdinand, where the moose outnumber people three to one. Dating back to the late 1930's, four generations have patiently managed the land, resulting in the 4,000 tap sugarbush we have today. Only the finest batches of our single-source maple syrup make it into our hand-numbered private label containers. As certified organic producers, we manage our woods for biodiversity to promote a healthy forest ecosystem that is more resilient to the threats posed by non-native pests and invasive plants. Susanna's Catering has been providing delicious, visually stunning and healthy foods for parties, weddings, corporate events and private functions for 13 years We also sell prepared meals as well as Mama Hoo-Rah, our saucy spreadable dip. We are based out of Morrisville, Vermont, and combine outstanding quality ingredients, a wealth of experience, bold imagination & impeccable service. Susanna's Catering is a member of the Vermont Fresh Network as well as The Vermont Association of Wedding Professionals. Our grandparents were dairy farmers in Glover, Vermont and they also had a hillside sugarbush where they made maple syrup. They made switchel during the summer using their syrup to keep them hydrated and energized while bringing in the hay. The maple balanced the tartness of the apple cider vinegar and the snappiness of the ginger. Today we make syrup just like they did with buckets and a wood-fired arch in Cabot. Our mission is to provide you with the best food possible, using organic, local ingredients. Vermont Veggie Burger wants to reduce the amount of plastic in our environment by using materials that are more friendly to our planet. We chose a bag made out of wood cellulose to hold the two Vermont Veggie Burgers inside the box. This bag can be conveniently composted with your food scraps. Walden Heights Nursery and Orchard is a certified organic family farm. With a 600-variety fruit tree orchard and berry plantation, we offer grapes, tree fruits including hundreds of apple varieties, ciders and juices, hops, mint, and others. Berries include gooseberry, red, black and white currant, aronia, blueberry, saskatoon, rose hips, raspberry, blackberry, and more. We also propagate and sell certified organic trees and plants of all these species. We stress sustainable practices. This means a very limited use of fossil fuels, including no tractor use. We replace as much machinery as possible with human beings and intelligent practices. Nearly all material for our enterprise is farm sourced or local inputs.